As well as text book training, we have demo machines so delegates get hands on experience of practical applications. You can choose to undertake your training at our Derbyshire training facility which is easily accessible in the heart of the UK and just off the M1, or at ABB headquarters at Daresbury in Cheshire. 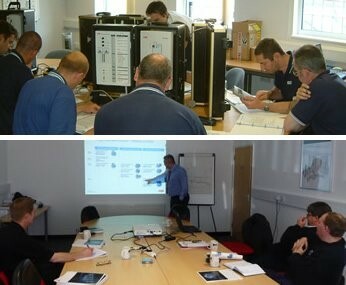 Call our ABB Inverter Training Team on 0115 944 1036 and we will arrange for a time and date to suit you.